Your student will have plenty of room for homework while you’ll love the budget price. 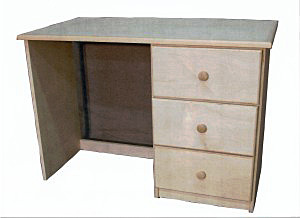 This small wood desk is perfect for student and children. Its 42″ desk top provides ample workspace and its 3 drawers are perfect for papers and supplies without the need for a separate cabinet.